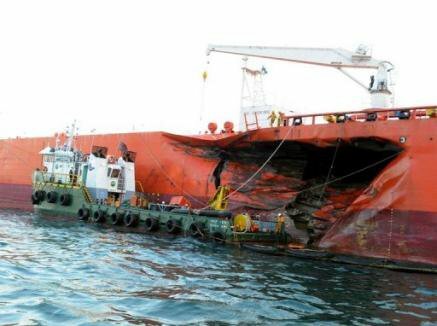 Singapore: Almost a week after 2,500 tonnes of crude oil leaked into the sea about 13 kilometres off Changi East – the result of a collision between the 57,017-tonne tanker MT Bunga Kelana 3 (below) and the 15,272-ton bulk carrier MV Waily early Tuesday morning (May 25, 2010) – the authorities and non-governmental organisations here have managed to bring the disaster under control. 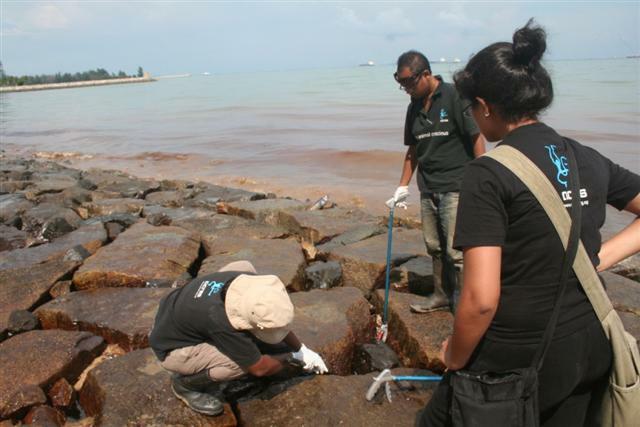 Whilst the National Environment Ageny (NEA) has headed the containment and clean-up operation of the oil spill itself by setting up booms at sea and on shore, the National Parks Board (NParks) has teamed up with biodiversity experts from the Tropical Marine Science Institute and the Raffles Museum of Biodiversity Research to monitor and manage the situation at locations such as Chek Jawa and Pulau Ubin which are rich in marine life. Although the impact of long-term effects is yet to be seen, the authorities reassure the public that the immediate danger has subsided. 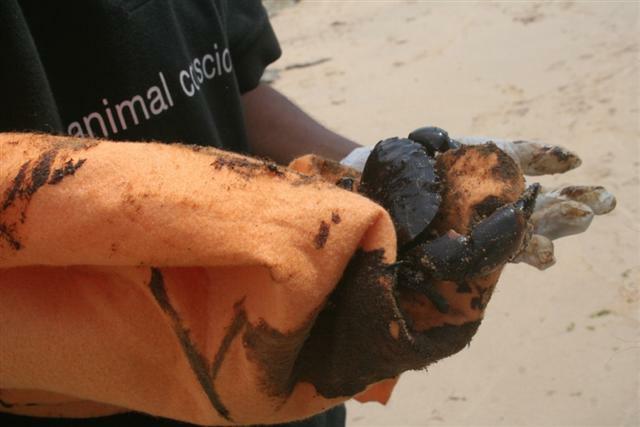 Similarly, the Animal Concerns Research & Education Society (ACRES) has mounted daily operations along East Coast Park to rescue animals that have been victimised by the oil spill. 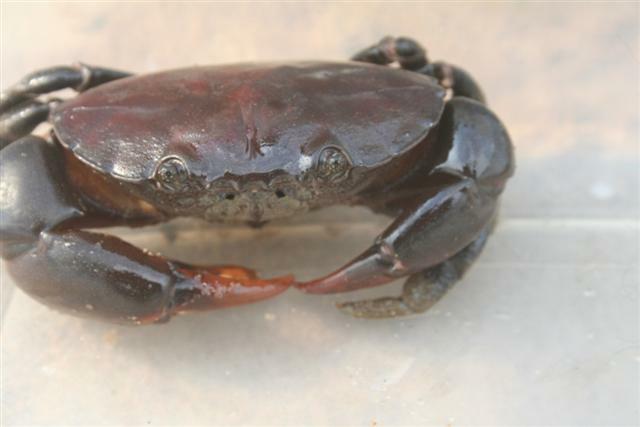 Whilst its team of volunteers report sightings of much dead sea-life as a result of getting caught in the thick crude oil, over 200 lives have been saved, with most of them being cleaned and relocated to safer areas such as Sembawang Beach. The NEA meanwhile reports that it deployed 50 cleansing workers and 30 NEA officers to clean and monitor the situation over the first 2 days, whilst the Maritime and Port Authority (MPA) reports that it has deployed 25 specialised boats, 1,490 metres of containment booms and 140 seaward personnel to contain and disperse the oil slick at sea over the past 5 days. Some of the spill has now reached parts of the Malaysian eastern coastline and reports there say Tanjung Stapa, Tanjung Kapal, Sungai Rengit, Kampung Jawa, Sungai Mu-suh, Sungai Haji Ahmad and Sungai Haji Yusof have all been affected, causing disruption to the lives of at least 1,400 fishermen there. 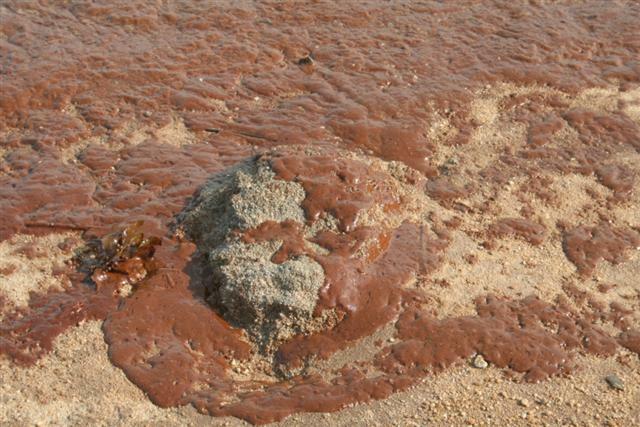 The Malaysian Department of Environment (DOE) adds that 6,900 litres of sludge has been collected thus far. 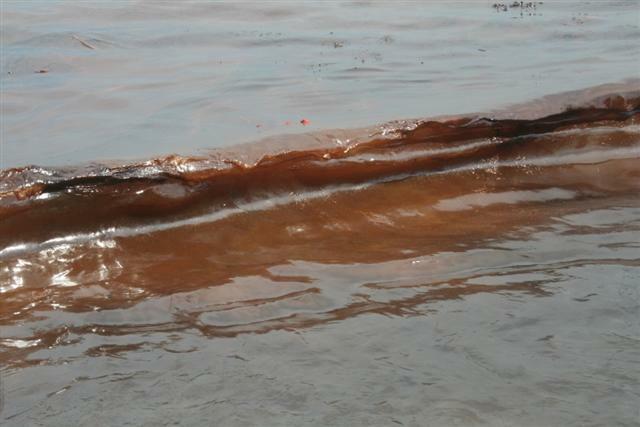 Fortunately, Indonesian authorities report that their waters remain unaffected by the spill. Observers note that the current disaster is 10 times smaller than the worst oil spill in Singapore’s history which occurred as a result of a collision between 2 oil tankers in 1997. However, unlike the 1997 incident where efforts were largely led by government agencies, this incident has seen a strong and immediate response from the community at large with non-governmental organisations as well as general volunteers stepping in to compliment the overall effort. A facebook page titled Singapore Changi East Oil Spill has been created to monitor the developments and many independent marine-life enthusiasts and environmentalists have extensively documented the damage and clean-up operations. This can be contrasted against past incidents where government agencies were expected to manage the situation alone and the public largely preferred to remain as critical observers. It is therefore a welcome change to see all effort being directed to resolving the situation without the unnecessary distraction of assigning blame for the accident. Those interested to volunteer their time and effort are encouraged to contact ACRES at 97837782 (volunteers are advised to prepare to bring containers to place the animals in, trash bags and to wear boots).